North Carolina-based Global Contact Services has been scheduling and dispatching pickups for the MBTA’s paratransit program for less than a year. The MBTA will remove a contractor that manages rides for passengers with disabilities, ending a deal that had promised millions of dollars in savings and an improved paratransit system but was instead marked by persistent complaints about poor service. Less than a year after it began scheduling and dispatching for the Ride, the T’s taxi and van service for passengers with disabilities, North Carolina-based Global Contact Services on Friday agreed to terminate its $38.5 million contract by June, more than two years ahead of schedule. The Massachusetts Bay Transportation Authority plans to hire a new contractor early next year. Nearly from the start, Global Contact’s takeover was marked by delayed pickups, missed trips, and a customer support network that was overwhelmed by complaints. By June, the company had been penalized $100,000 for failing to meet contract standards. By consolidating scheduling and dispatching services that had been done for years by three transportation companies, Global Contact was expected to save the T nearly $40 million by 2020 through more efficient routes, a key promise for a service that subsidizes the cost of each ride by an average of more than $45. It’s the latest sign that an initiative meant to simplify service for passengers with disabilities has failed to do so. Instead, the T is now projecting to be $13 million over budget on the Ride this year because of the issues. The T described the move as a “mutual” decision and said Global Contact will not be paid any more than it is owed at the early end of the contract. 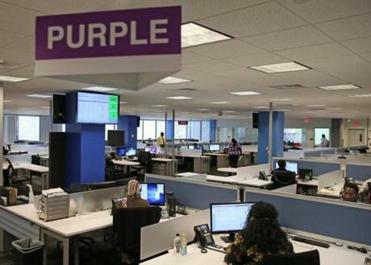 Global Contact beat other bidders to win a 39-month, $38.5 million contract in 2016, and it began taking over control of scheduling and dispatching in stages at the beginning of this year. Now the MBTA will look to hire a replacement contractor by March, to be in place for dispatching work by June. The timing puts the T in the awkward position of allowing a firm it is dismissing for poor service to remain operating that service for several months. Ramirez said the agency does not believe service will worsen during the transition, because the T has assigned its own staff to stabilize dispatching, and Global’s employees will have the opportunity to work for the next contractor — an incentive to keep working. Riders will still call the same number to book rides in the meantime, he said. Global was awarded a separate contract earlier this year to run a broader MBTA customer-support center for passengers across the system. It will also lose that job, according to the T.
Ramirez, who began as MBTA general manager in September, said the agency did not focus enough on insuring the contractor kept to promised pickup and delivery times as it assumed control over the system and will step up its oversight of on-time performance during the transition. Working out of a Medford office, Global was hired to handle scheduling and dispatching for three companies that operate the Ride’s vehicles. Those companies traditionally handled their own scheduling and dispatching for the Ride’s 6,000 to 7,000 daily trips. Global took over much, though not all, of the dispatching work in early 2017, and riders quickly began complaining of long delays. Some said they waited hours to be picked up from work or doctor appointments or were brought on strange and circuitous routes. Chris Hoeh, a Ride passenger from Jamaica Plain, said his trips to Cambridge sometimes went through Quincy. And Vivian Quint of Quincy said dispatchers sometimes failed to pinpoint her home to drivers, leading to delays picking her up. 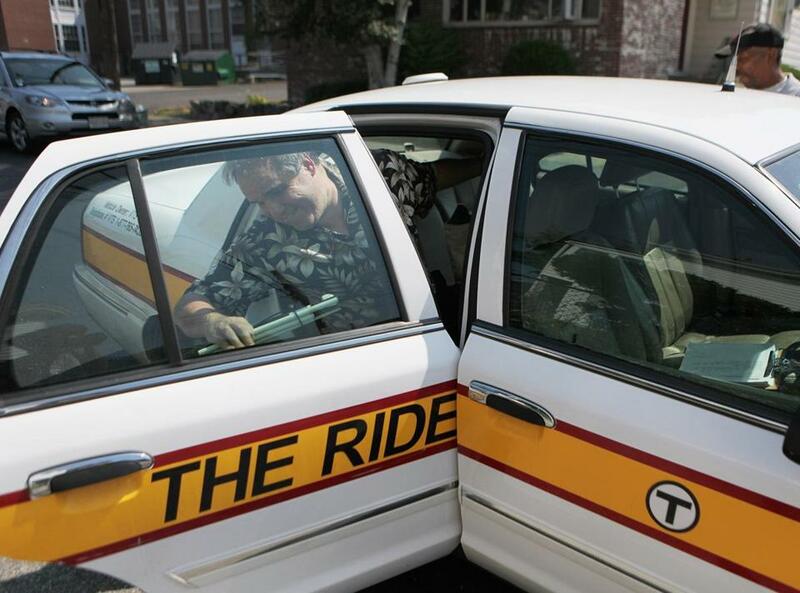 Officials said at the outset that software issues made it difficult to schedule rides. The transportation companies that operate the rides for disabled passengers also complained that Global failed to anticipate the number of drivers needed for certain shifts, according to correspondence to the T the Globe obtained by a public records request. The MBTA hired a consultant this summer to examine the contractor’s work and found it severely lagging industry standards in every category of operations, including quality assurance, training, recruiting, and corporate governance. The T and Global Contact pledged to fix the issues, and the company fired the general manager at its Medford office. The company was expected to begin dispatching all Ride trips in October. But when service suffered again, in September, the T said it wasn’t confident in Global’s ability to take more trips and delayed the process. At the time, the company blamed traffic for the struggles. The agency notified the company it was in default of the contract, according to the e-mails obtained by the Globe. Global chief executive Greg Alcorn responded to the notice by telling T officials, “I didn’t think we were at the ‘nuclear option’ phase of our relationship, but so be it,” the e-mails said. The documents also show Global complained about the withheld payments while the T was assessing performance.